Everyone is concerned about Google pulling the plug on iGoogle, but in today's episode I have a fantastic solution for you. And you will find the companion video at my Genealogy Gems YouTube channel and as the video bonus content in the Genealogy Gems Podcast App. And the new Genealogy Gems website has been launched! It’s here! I promised you it was coming and it has. The brand new website is up and running at genealogygems.com and at lisalouisecooke.com. You’ll find Lisa Louise Cooke’s Genealogy Gems in both places. The old site was 5 years which is ancient in techie years, so it was time. Back in the Fall of 2011 I began laying the framework for the new site, well aware that the old one had become cluttered, and it wasn’t keeping up with all the new versions of web browsers out there. Things were starting to not display properly. OK, well I obviously completely agree with Simona on her comments on the website, and the email just helped support the decision I had made to invest in a new site. And I hope Simona and all of you are happy with all the changes and upgrades. Everything is on one site: The blog, the free episodes, Premium Membership, and our brand new store. The free iTunes podcast feed and the Premium feeds are both functioning now. Premium Membership includes ALL past episodes, and continued access to those episodes while you are a member. But the big news for Premium members is that premium membership is no longer a magazine subscription model. I’ve built a site that is set up to hold all the gems I’ve created for you over the last 5 years, and the many more years to come. Yep, right now we are on Premium episode #88 and ALL 88 episodes are available to you as part of your premium membership. What we are creating for you is a growing catalogue of gems and tutorials and genealogy entertainment that you can tap into when you want it. 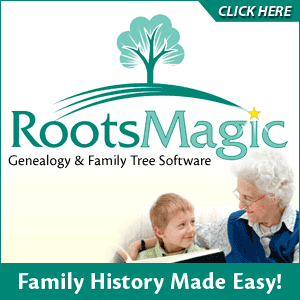 And Genealogy Gems Premium Membership gives you access to all of it! And of course each month we are adding new premium episodes and videos so that catalogue will just keep growing and growing. You know sometimes a gem or topic isn’t what you need this week, but it’s exactly right for what you want to do 2 months from now. Now you can sign in to your membership and grab the gems you need when you need them. And I hope you are as excited about the amount and accessibility of content as I am! Christine commented on The Genealogy Gems Podcast Facebook Fan Page: "I just "peeked"--1000% improvement! Not only is it more user-friendly, the design & colors are more "you"
I’m ecstatic that you love the site and I hope that those of you listening who have been listening on your mobile device and maybe haven’t stopped by the website in a while drop in and see what Robin, Sue, Teri and Christine are raving about. Attention all Facebook users! There's been an upsetting development in the way that site is run, and the unfortunate result is that many of you are no longer receiving Venice's posts. What they've done affects all fan pages. It used to be that whenever I posted a status update it would send it out to every single person who is subscribed to the Genealogy Gems page. Well, no longer. Now it tells us, underneath every post what percentage of subscribers it has actually sent that post out to. And usually that number is right around the 25% mark. Which means that the site deliberately and arbitrarily chose 75% of you to not receive it. But here's the rub: On every single individual post, it now offers us a "Promote" option, where we can pay them money to increase the number of fans who will receive that specific post. To get the note/video/picture/song to show up on the walls of 100% of our Facebook fans, it could cost us around $50. Not as a one-time payment, but rather PER POST. 3) Hover your cursor over the "Liked" box. 4) Put a checkmark next to the words "Show in News Feed." I’m sorry for the inconvenience and really appreciate your support! From Linda: “I just looked on my iGoogle home page, and it says iGoogle will not be available after November 1, 2013? (--happens to also be my birthday, so an easy date to remember, for me at least) What?!?!? I have got it all set up, thanks in part to you, and now it is going away...it just ain't fair. You are going to need a new webinar telling us what to do now, cause I don't have any idea how to make it work in Chrome! There is life after iGoogle, and I have a solution for you! In this gem we are going to look at Life After iGoogle. It’s pretty challenging to stay organized online isn’t it? It seems like every day something new is happening, and it can take some superhero powers to stay up to date while you’re still working on today’s to do list. That’s why iGoogle was such a gem! In webinars, presentations, my book The Genealogist’s Google Toolbox and as part of Premium Membership I have taught thousands of you how to convert iGoogle into your personal genealogy homepage. We added gadgets that could accomplish the tasks you needed to get done, then expanded with tabs, and even dressed it all up with custom themes. And I’ve heard from so many of you have it revolutionized your online computing and research experience. However, in 2012 as we here in the U.S. were celebrating Independence Day and the freedom we enjoy, Google very quietly announced that it was doing away with iGoogle. The online freedom we were so happily enjoying came to a screeching halt. Ouch! Now even though I’m known as the Google Guru, first and foremost, I see my role as genealogy gems goddess. And that means that I am primarily focused on bringing you the best gems, not just Google gems. So after a good 5 minute mourning session by the iGoogle gravesite, I got to work on a new gem that would meet all of our homepage needs, and dare I say even surpass iGoogle in some areas. And don’t worry, what I’ve come up with isn’t going to force you to start from scratch. We’re going to move much of your iGoogle content to a brand spanking new genealogy homepage and then add lots of gems to it. Yep, there is life after iGoogle. And once you get into the Netvibes vibe you’re going be doing the genealogy happy dance. So let’s get started. Guess what: Netvibes has been around as long as iGoogle! Both were launched in 2005. But here’s the thing, Google never figured out how to make money with iGoogle, and that plays a huge role in why it’s going away. However, the Netvibes team discovered early on that a personal dashboard just wasn’t all that conducive to a bunch of advertising to the pay the bills, and so they expanded their business model to provide expanded premium products to businesses at a price, that allows them to continue to provide the free service to their individual users. The fact that they have figured out how to make their business profitable means that there’s a much better chance that the Netvibes dashboard will be around for a while. And believe me, with the demise of iGoogle Netvibes has already seen a bump in users, and I predict that’s about to increase dramatically. The first thing we need to do is import your existing iGoogle content into Net Vibes. And if you don’t have an iGoogle page, cool – it just saves you from having to do this step, but hang in there because you are definitely going to want to set up a Netvibes genealogy dashboard with the rest of us which we will do in just a minute. PLEASE NOTE: Follow these instructions EXACTLY. Any deviation will cause it not to work. And be sure to use Internet Explorer NOT Firefox for this procedure. 1. Log in to a Google account. 14. Sign up for a free BASIC account and select the Default layout. 15. On the starting dashboard click ADD CONTENT in the upper left had corner of the page. This looks a LOT like iGoogle don’t you think? Making this move is going to be a breeze because the two services are SO much a like! Now of course, not all of the iGoogle gadgets converted. That’s because they are iGoogle gadgets. You’re going to have to locate new gadgets from Netvibes. I’m going to set you up with some of the most important gadgets you’ll need. And you can bet I’ll be covering more customized gems in upcoming Genealogy Gems Premium episodes. Under Add Content there are a couple of different areas where you can get gadgets, which are called Widgets in Netvibes. In addition to using the search box, you can browse Categories, select from Essential Widgets, and you can add more RSS feeds which you’ll use to follow podcasts, blogs, and other types of syndicated content. Let’s start by deleting the iGoogle gadgets that didn’t convert properly. Just click the little X button in the upper right corner of the widget just like you would have in iGoogle. Before we go any further, let’s clean up and organize a bit. Moving widgets around is super easy. Click the title bar of the widget, drag, and drop. And there you have it, in just a few minutes time you’ve made the dreaded move! Stay tuned because I have a LOT more great stuff for you to do to get your genealogy vibe on. Click to Vote for Michael’s music.